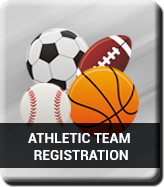 Parents, Complete Your Child's Athletic Registration Online! To ensure your registration, please carefully read and complete all steps listed below. IMPORTANT: You are only registered once ALL steps are completed. Who needs to turn in a Physical Form? Athletes must have a current sports physical exam on file in the School Nurses Office. Please note, physicals are good for 1 year (365 Days) from the exact date of last physical. NJ Law requires that a paper copy be kept on file in the school's nurses office. Download the Preparticipation Physical Evaluation Forms here - Parents/Guardians should complete page 1 & 2. You physician is required to complete pages 3 & 4 including the vision section. Please ensure all required signatures are provided. If you are interested in getting a physical done by the school doctor on one of the 4 physical dates throughout the year, please email the school nurse to sign up. Who needs to turn in a Medical Update Form? If there is a current physical on file with the school nurse, you are only required to complete the Medical History Update Form (Formerly called Packet #2). Please ensure all signatures are provided. Once the Medical History Update Form is completed, please submit to the school nurses office. Step 2: Click the icon below to register online. Select the appropriate registration form link and enter the required information. Once you have updated your information and turned in the medical paperwork to the nurse, you are registered and can participate in Lawrence High School/Middle School activities.